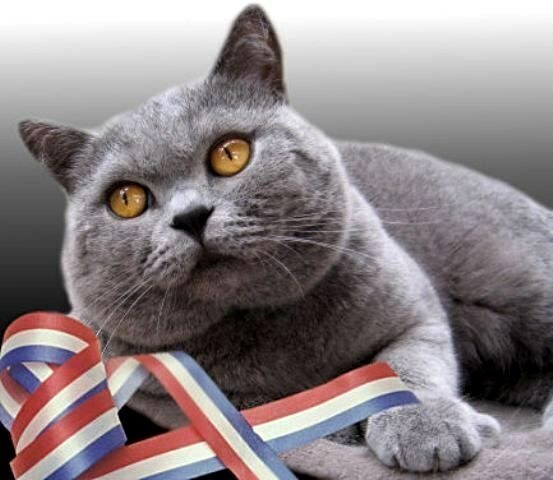 British Shorthair are one of the most popular breeds of cats among breeders in Russia. To preserve the purity of the population mating (mating) of the British owners are advised to observe certain rules adopted in the environment of breeders. British cats breed only with cats of the same breed (and Vice versa). Note that interbreed mating for the British prohibited the international standards for breeders of purebred animals. Otherwise, the litter will not be able to pedigree and will not be recognized by the British. Do not select mating inbreeding (inbreeding), that is, not knit British cats, consisting of closely related links. It is fraught with kittens born with physiological abnormalities. Inbreeding is allowed only if there is an outstanding manufacturer in the family of a British and serious breeding work to improve the breed. 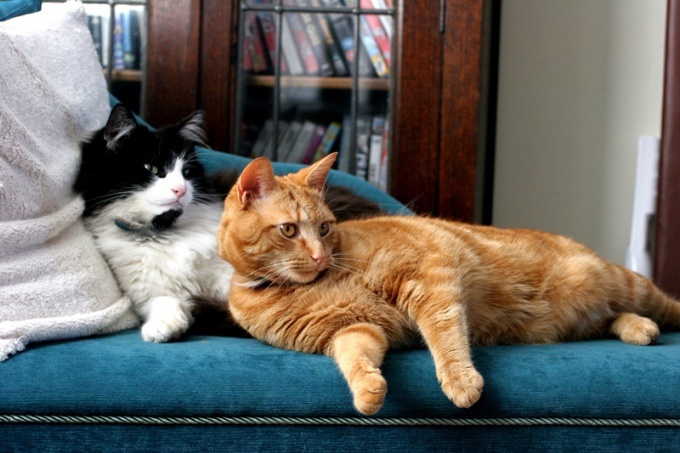 If there are no goals, pick up for mating your cat or cats an outside partner of the same breed. If you want to get a litter of kittens of a certain color as a result of mating, carefully study the pedigrees of your cat (cats) and the alleged partner (partner). So, in Russia the most popular are British blue. They can be knit with cats of similar colors (the litter will be blue), chocolate brown (for the black offspring), cream color (the kittens will be either cream or blue cream). Give the cat or cat of the British breed for first mating at the age of about one year. Before crossing pet, visit the vet with him or the club to which he belongs, the British, take advice on the binding and ensure that no genetic defects in your pet. Pick a partner (partner) to knit on their own or with the help of professional breeders near you club of the British cats. Make sure you have all the necessary vaccination of cat (cats), which will be used for crossbreeding. Note that for enabling completion of the process may require more than one day, especially if one of the partners involved in the pairing for the first time. Keep the virgin of the cat and the cat, it will be difficult to find a common language. 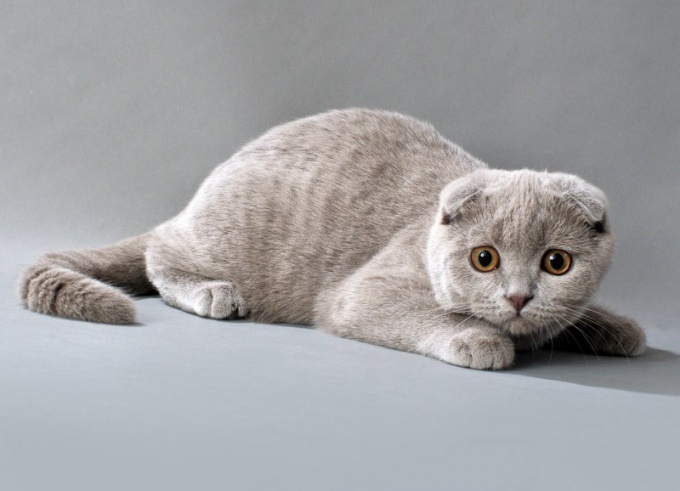 Scottish fold cats have adorable "baby's" eyes, beautiful body, silky hair, kind and sociable disposition. And, of course, touching the folded ears is the main attraction of Scottish fold cats. Future breeders who wish to get a good kittens, you need to do everything to get offspring with these distinguishing breed characteristics and to avoid possible defects. 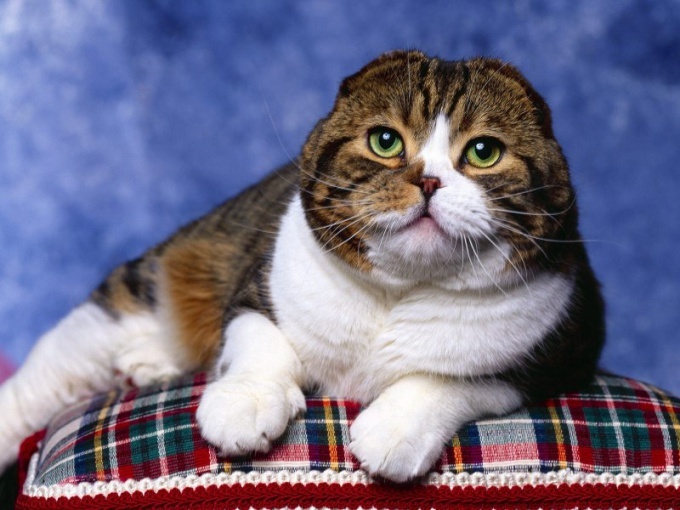 For mating Scottish fold cats need Scottish straights cat of the same breed, but not dangling, and with straight ears. Otherwise, they are fully consistent breed characteristics – have a slightly stretched body, silky fur, small rounded head on a powerful neck. The straights found among the highland fold cats – Scottish fold with long fur. Not knit Scottish fold and British cats. Modern breed standards do not allow the kittens are larger and more massive, they have changed the shape of the head and tail, and the structure of the wool of British is different. This kitten is unlikely to become the champion of the exhibition and be eligible for breeding. Never tie two cats with hanging ears – their offspring are guaranteed to congenital defects such as problems with the spine and limbs, and General weakness of the body. The right partner for your cat can pick up at the club, specializing in Scottish fold. You will help you choose a cat of a certain color, which can give interesting and promising offspring. If you own a cat-a fold, the club will help to check the quality of the ears, laid in line-straight. Agree with the owner of the fee for binding. Usually the owner gives cat owners the cat one kitten from the litter. The owner straight can expect it to straight from the animal, and the one who provides for mating lop-eared partner, gets a fold. Please note that Scottish fold kittens are usually born with less. If all kittens will be straights, the owner of a Scottish fold cat can receive a cash payment equal to the cost of the kitten. Choosing a partner for the cat, consider the appearance of a partner depend on the data of kittens. Rate the color, quality of coat, correct body. Make sure that the future partner of your animal has a flexible tail. Congenital problems with the spine – payment for folded ears fold, this mutation is manifested not so rare and is transmitted to offspring. For the show-cats desirable suitable cat, he can improve the breed of cats breed-class. Pet owners pet-class can be freer in choosing a pair for their favorites. Note the degree of slozenost ears. The perfect ears are small, widely spaced, directed forward and not advocating for the contours of the head. Higher valued lugs with double fold, tight to the skull. Animals having three folds, is extremely rare and valued very highly. 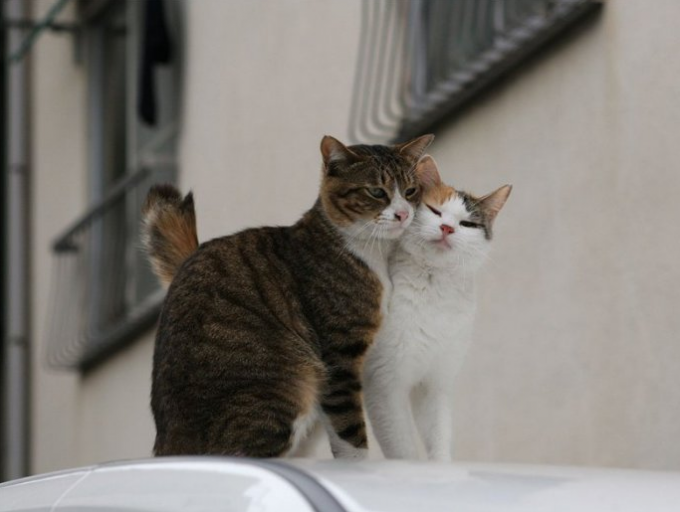 Before mating, make sure that the cat is vaccinated and healthy. He shall be no discharge from the eyes and nose, dandruff in hair, it should not be too exhausted. If there are obvious signs of distress, the binding should be postponed. Sexual maturity in cats occurs to 7-9 months. But for the first time knit animal recommended not before it reaches one year of age. After all, the cat must be old enough and strong for the upcoming pregnancy and to birth a healthy strong kittens. Two first heat it is better to skip and knit the third. The spacing between chutes all cats are different, usually is 15-25 days, but sometimes there are cats that run 1-2 times per year. The average duration of estrus is 6-8 days. The recommended age for the first mating – 1.5-2 years. According to the rules of most clubs to knit a cat must go through the exhibition and to residences assessment. Cats usually don't have to give birth to kittens more than 3 times within two years. The cat must be vaccinated against major infectious diseases, and this should be reflected in its veterinary passport. Obtaining vaccination must be no later than a year before the planned mating and not earlier than one month before her. 7 days before mating cat must be degelmintization. How to determine the heat? Cats before the heat start to become anxious: by rubbing up against furniture, on the feet of the master, purr, be overly affectionate and require attention. If a cat starts to shake the tail when stroking her back, and she starts to touch the hind legs is also a sign of incipient estrus. It is not necessary to knit a cat on the eve of the heat, it's better to do 2-3 days. Usually the cat is taken to the cat. If you do the opposite, not every cat will cover a cat in an unfamiliar environment. Only a very experienced and courageous cat will be decided on the pairing, but before that he will generously mark all the corners in your apartment. Since the cat will be out of the house for a few days, then you need to take along with her a tray, litter, bowls for food and water. The cat needs to go to stud are clean, healthy, well-groomed, with clean ears, eyes and manicured nails and, of course, be free of fleas and ticks. Usually knit animals occurs without human intervention. One only has to take into account several points that may arise. For example, on foreign soil in cats can happen the stress, it will start to get nervous, become aggressive, or depressed. In this state she can not let the cat in. Sometimes owners may mistakenly identify the behavior of cats in estrus. In this case, the cat may not show any interest to this lady, go to sleep quietly in her presence or even scared her. Unlike the owner of the cat feels instantly flowing cat or no. If a cat is really in heat, the cat quickly excited and with loud cries announced that he is ready to mate. If everything went well: the cat became interested, and the cat shows no signs of aggression, it is possible to leave the animals alone. To determine which binding took place, the behavior of cats. Every time after the mating ritual the cat is in pain, beats the cat with a paw in the face. Experienced cats in such moments are quickly removed to a safe distance and wait until the cat calms down. When the pain subsides, the cat starts to lick itself and then begins to roll on the floor. During the day, the cat can cover cat 10-15 times. This number depends on the nature and health of the cat. After performing its duties, the cat loses interest in the cat, since this eliminates the smell that attracted his attention. Unlike the cat the cat for several days can continue to ask the cat but that does not mean that it is not tied. Usually on the sixth week after mating, the cat owner may feel the movement of the kittens in the belly of the cat. If the cat is not pregnant, and she again began flowing, it could mean that binding occurred later than scheduled. Usually pregnancy in cats lasts 64-70 days from the second day of mating. Kittens in a litter can be from one to six.